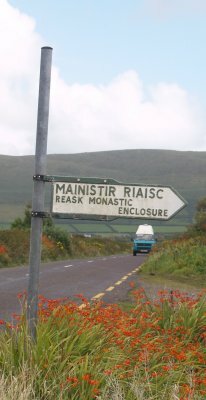 Reask Monastic enclosure near Ballyferriter. 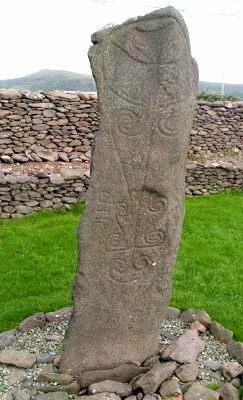 The sign for the Reask Monastic Enclosure (Mainistir Riaisc) and the beautifully carved 'Celtic Christian' stone ('The Reask Pillar'). 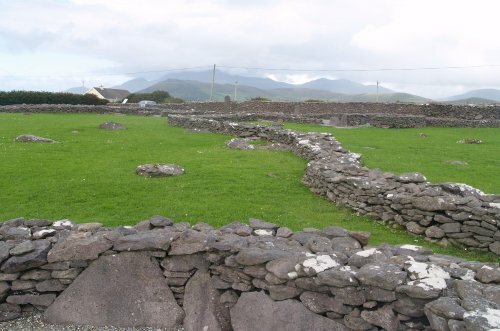 The remaining stone walled outline of the early 8th-9th century Christian monastic enclosure but pottery fragments from the eastern Mediterranean, have been found at lower levels suggest the site was active in the 5th-6th century AD. 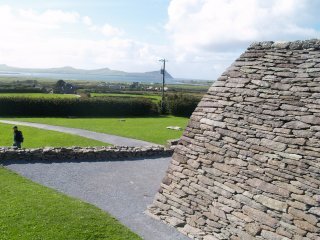 The Gallarus Oratory near the eastern shore of Smerwick Harbour. 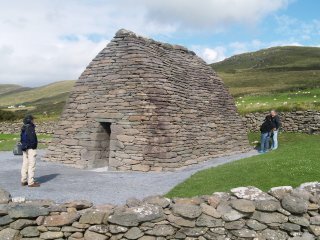 The building probably dates from the 9th-10th century, though the 'blurb' on site says 7th-8th century. 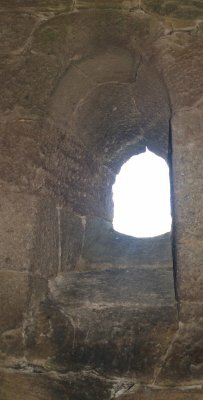 The masonry is dry stoned, and even after a 1000+ years it still doesn't leak! 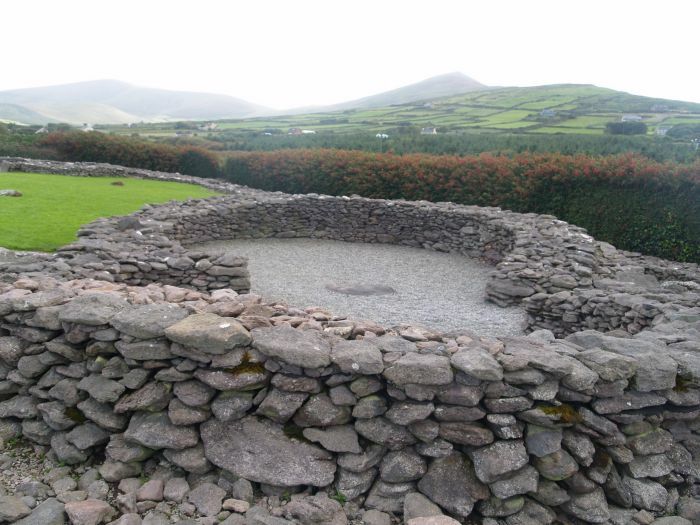 The corbelled roof is as waterproof as when it was built. The view from the Gallarus Oratory out over Smerwick Harbour to the hills of the Three Sisters. 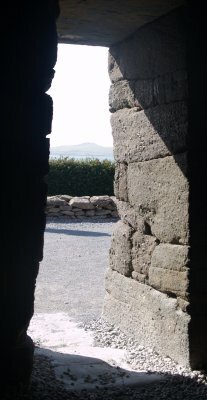 The entrance doorway, the one small window and the carved cross on a stone near the oratory. 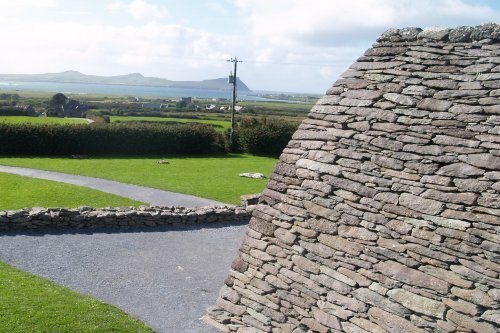 Gallarus Oratory, Dingle Peninsula, County Kerry, West of Ireland: The 10th century early Christian Gallarus Oratory is a famous and popular tourist on the Dingle peninsula, Co. Kerry, Ireland. 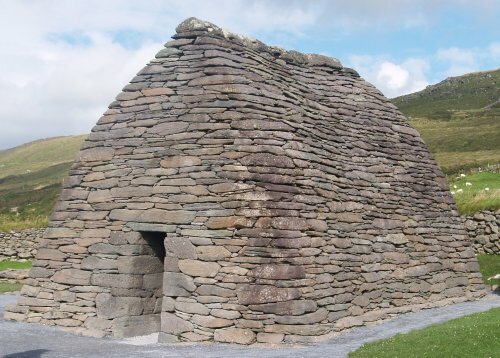 Even after over 1000n years the dry stone walls do not leak! 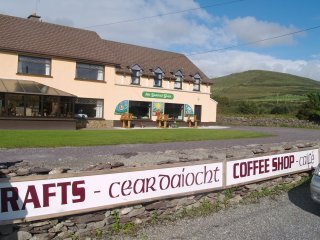 Cear Daiocht Caifé - An Garrai Glas cafe and coffee and art shop is a handy tearoom for a snack and the location is also a good picnic spot. 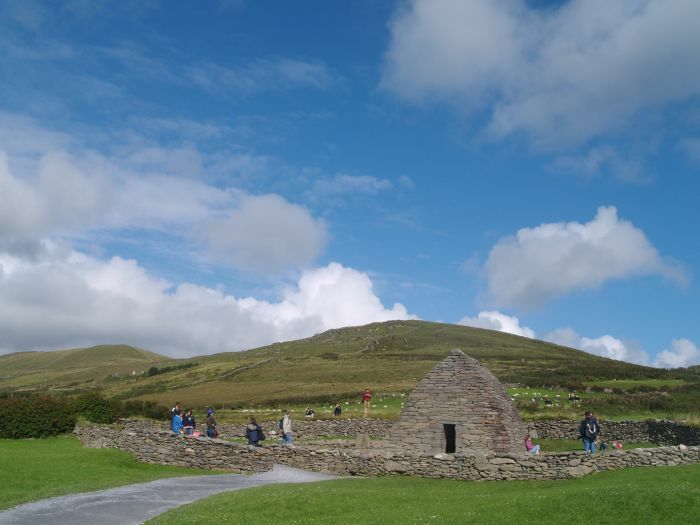 Enter place, heritage site, feature, walk, town, village, city, museum, historic building, mountain, island, anything of interest in Ireland!